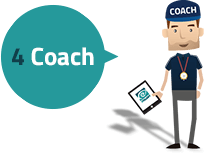 Coach Universe is the tool to streamline your job as a coach once and for all. You will get the tools to do your job in every regard: video analysis, planning of training sessions, injury registration, match planning, post-match analysis, and much more. It will give you the overview in one place and make it easy for you to share your work with both colleagues and players. You are supposedly used to do the video analysis yourself, but as a unique offer we give you the chance to let your placers take the lead with their own analyses and evaluations. The documented effect is an enhanced sense of ownership, better cooperation and a strengthened relationship. Read more about this feature at the 4Player page. Prepare the best possible training sessions for your players and plan them easily to the last detail using your own or the club’s exercise bank. Pick the number of participants, the intensity, add an important note, choose a specific coach for each session, and specify a determined focus for each exercise in each session. Upload your videos of matches and training sessions directly to the platform and the analyzing can commence. Analyze on the basis of your own or the club’s criteria and tag the players in specific playing situations, adding a comment on the way for them to see in the Player Universe. If your club achieve video from for instance Wyscout, do not worry. 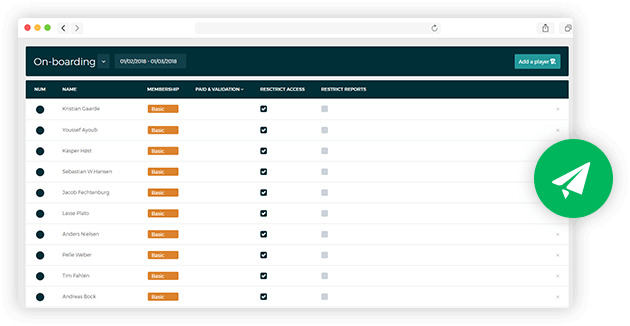 Our platform allows you to upload such videos and expand the analyzing and reflecting to issues that are important for your team’s style of play or your players’ developments. 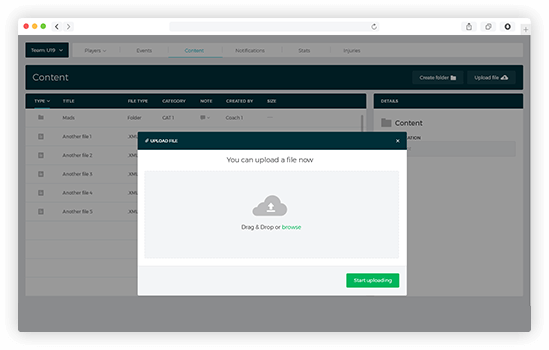 In your team pages, you will first and foremost get the overview of all your players and the data assigned to them. 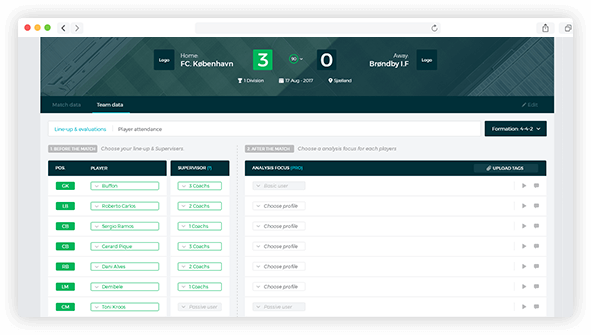 Here you can plan your matches, pick you team, and you can do your post-match work with video and relevant match data for each player. When updates are due, you can make your changes by adding new players and removing the former players. You can achieve the complete overview in one place by organizing all your data for your team(s). Upload all sorts of files – Word, Excel, Power Point etc. – add an important comment, and share it with specific or all coaching colleagues. If you are the fitness coach in your club, we can also be at your service. In Coach Universe, you can keep track of injuries and test results. 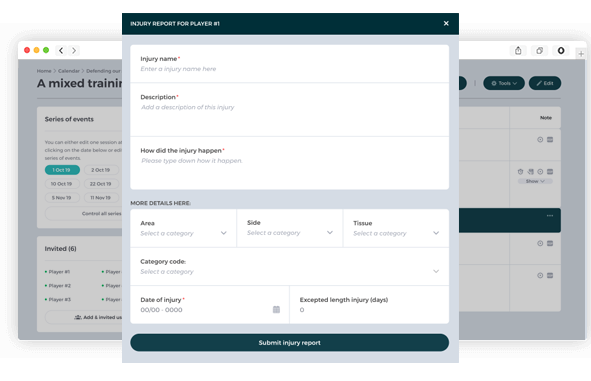 Whether a player is injured in a training session or it is time to measure physical development, everything can easily be registered in the platform. 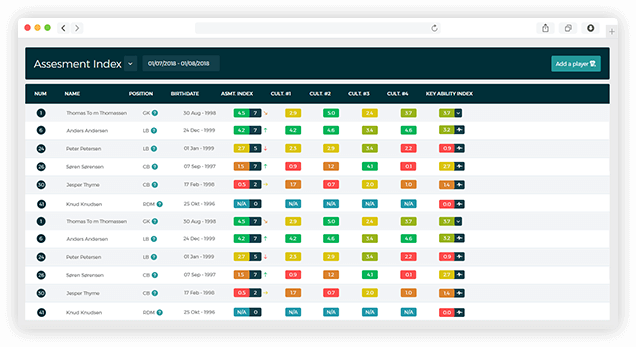 The data stores on the players own ‘player journal’ in order to keep the player history and to be used in the future development to the delight of both players and the coaching staff. You can also achieve a greater overview prior to planning the next training session. 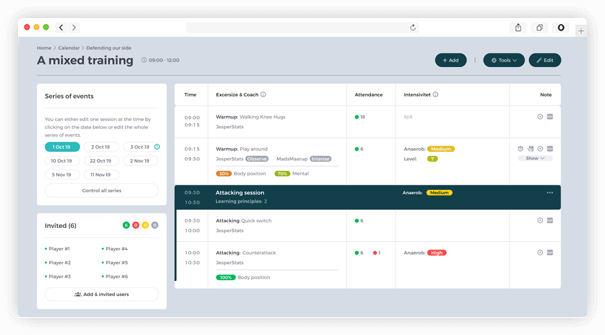 Retrieve an ongoing overview of the individual player’s development and potential in total with the talent’s own ‘performance clock’ with training and match data, video log, development plan, shared documents, and much more. Compare player assessments of both internal and external players and follow the development of all players. Here at eye4talent, our belief is that learning and education of players not only concern the training on the pitch, but most certainly also is training off the pitch. That is why we give you the opportunity to invite your players to learn off the pitch by evaluation and/or analyzing their own performance. When a match is done, you simply assign them with a task that they carry out and then you can give them individual feedback. Learn more in the 4Player page. Talent development is our passion and we have a great ambition to revolutionize talent development throughout the football world.